3 days and 2 nights in an unforgettable and peaceful place in the foothills of the Sierra Nevada. 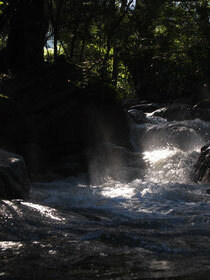 Our place is situated 8 Kms ( off-road ) from Santa Marta in a nature and cultural sanctuary. Here you will see not only animals and a wide collection of plants, but also Tayrona paths, Kogui houses and a Kogui bridge… not to forget our pristine river. *The cacao tour has an extra cost of 5.000 pesos and has to be paid at the cacao farm next to us. *Consume of extra beverages and extra food are not included in the price.